The sea is a vast area and, unlike in traditional land based game parks, is not fenced off in any way – marine life has free and unfettered access to the vastness of the ocean and humans are not able to see through the water to witness the sea life teeming below. When one searches for animals in a game park the surest way to find them is at a water hole or, when searching for predators, at the source of food. The food source is a long chain normally near reefs but subject to ‘invisible’ currents. The Agulhas Current flows down the East Coast of Africa to the geographic Southernmost tip of Africa – Cape Agulhas – a rocky headland and the beginning of the dividing line between the Atlantic and Indian Oceans. As the Agulhas current passes Algoa Bay off of Port Elizabeth it veers South and the first of the significant counter currents occurs. The Agulhas Bank South of the tip of Africa shows a large area of shallower and warmer water. The large area is the ‘entry point’ for Whales traveling North from the Arctic and ‘funnels’ these predators North East towards Algoa Bay and beyond. Migrating marine animals such as Whales come past our coastline to mate and feed so it makes sense that they will be best spotted in a warm/ish place where their potential mates are, combine that with a food source and the chances of spotting these creatures are very high. 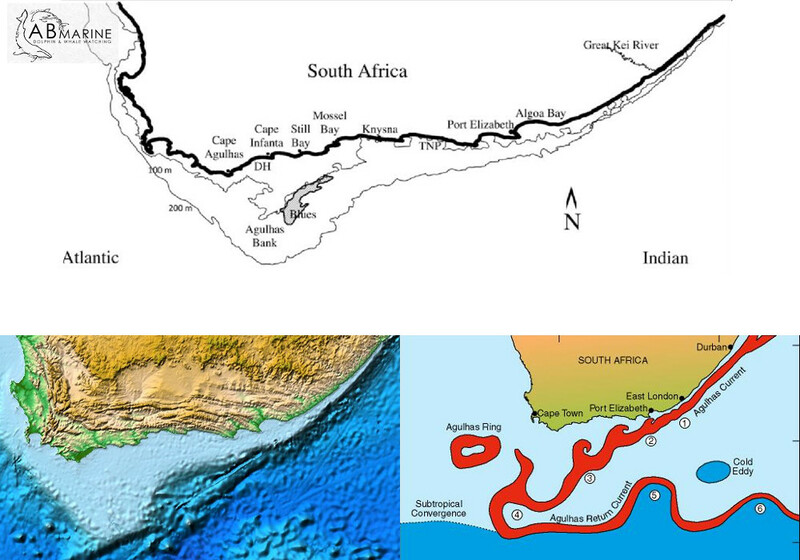 The Agulhas current after veering South will get small fish and nutrients in its grip and, when the Agulhas counter current veers back into the Southern Coastline, including Algoa Bay, it will bring this food source close to land. 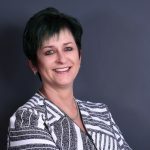 The Sardine Run Season – January to August – is proof that the prevailing winds of South West and West are at work bringing the Agulhas Current and valuable nutrients, close to the shore. So, what ideal conditions does AB Marine crave for when looking for Whales, Dolphins and the like? A prolonged wind from the South (South West preferably) over the last estimated position of the Agulhas Current which will bring nutrients (fish, plankton etc.) close to Algoa Bay. Then, for client comfort, minimal swell and a warm day. AND, for the photographers onboard, we hope to have sightings take place with the sun low in the horizon and as close to the magical ‘Golden Half hour’ as possible. The speed of the Agulhas Current is also of importance in estimating whether the nutrients have been in Algoa Bay long enough to attract predators close to our viewing areas. As part of our efforts we are constantly monitoring fishing stock and the presence of other species that require fish in Algoa Bay. As an example the various estimates place 20 000 to 50 000 dolphins in Algoa Bay* and around 300 000 birds such as Gannets, Jackass Penguins and Roseate Terns – all requiring a daily meal of fish. Scientists estimate that each dolphin eats 4 to 9% of it’s own body weight per day which translates to an average of 10 to 20 Kilograms of fish per day. Penguins can eat up to 500 grams of fish per day and Cape Gannets can eat up to 300 grams of fish per day. * It has become common to see pods of 1000 Bottlenose Dolphins close to the shore and mega pods of Commons Dolphins further offshore during the Sardine Run.